At the heart of our educational mission is connection. By engaging with us, you’re part of a community that values diversity, promotes inclusion and provides access to the arts. Our programs include educational outreach, residencies in community settings, and scholarships that give youth access to resources in the arts. We are committed to the arts, but also to the people the arts reach. Our mission comes to life through you. 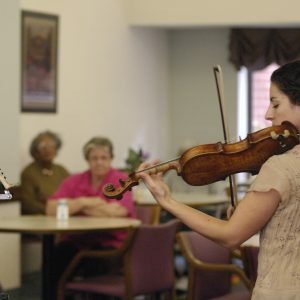 Peabody musicians bring live, interactive music to community organizations, hospices and schools. 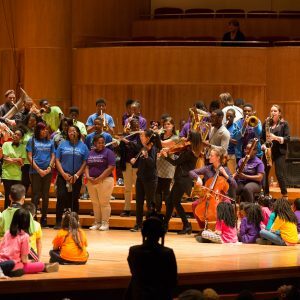 Conservatory students work with Baltimore City Schools students to create and perform an original composition during Peabody’s Spring Break. 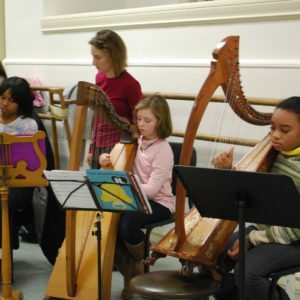 Brings the harp into Baltimore-area schools. 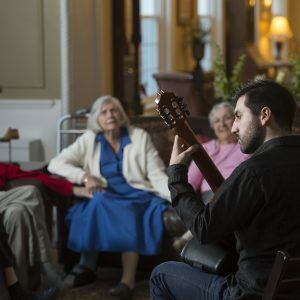 InterPlay, a joint venture of the Peabody Institute and University of Maryland Baltimore County (UMBC), began in 2016 as a way to connect Peabody graduate students with UMBC undergraduate music majors for their mutual benefit. Peabody composition students volunteer at a local school. 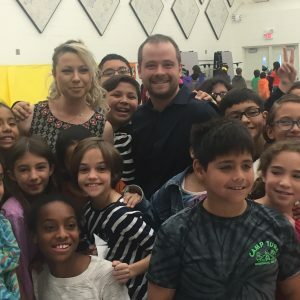 Mentoring support for public school music teachers. Places Peabody students in area senior living facilities. 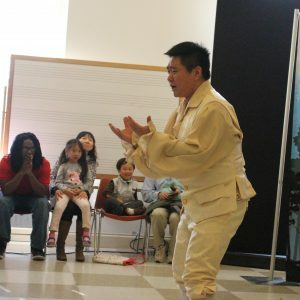 Bringing opera performances to schools all across Maryland. 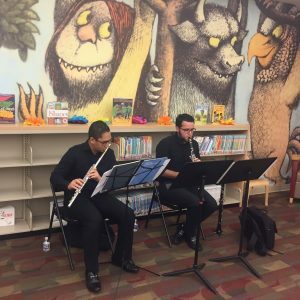 Peabody students have the opportunity to work together with Baltimore City Library Branches in preparing and presenting a series of fun, family-friendly concerts for the community. 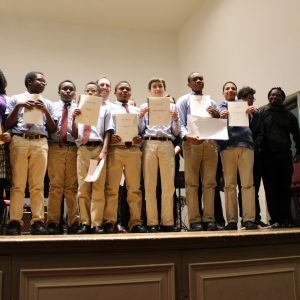 Scholarships for musically talented Baltimore City youth to study at the Peabody Preparatory. 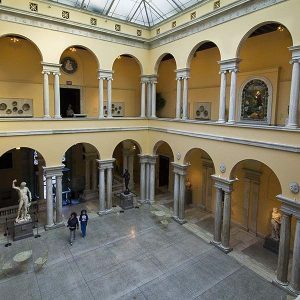 The Walters Art Museum offers a variety of interdisciplinary, education, and other performance opportunities for Peabody students. An intensive, real-world training experience for performing musicians. Peabody students and faculty will have the opportunity to develop and present school programs as Young Audience artists. 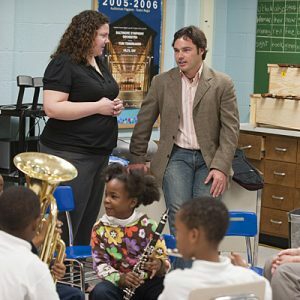 One pathway to Peabody starts with mentoring new music teachers in the Baltimore City Schools. 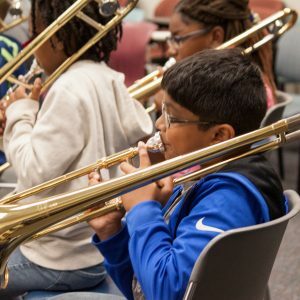 These teachers identify the most talented and motivated students and recommend them for Peabody’s Tuned-In program, where they receive free lessons, classes and ensemble activities. What are the Pathways? Click here to explore. Students at the Peabody Conservatory develop the real-life skills of an artist by making art in real-life settings.